MILLIGAN COLLEGE, Tenn. (May 1, 2015) — Milligan College will graduate its largest class in recent history at the college’s spring commencement ceremonies on Friday, May 8, and Saturday, May 9, to be held in Milligan’s Mary B. Martin Auditorium located in Seeger Chapel. Dr. 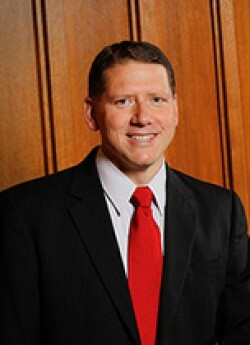 Troy Hammond, Milligan alumnus and president of North Central College in Naperville, Illinois, will be the keynote speaker. Friday’s service for students in Milligan’s graduate and professional studies programs begins at 7 p.m. The Saturday service begins at 2 p.m. and is for students graduating from traditional undergraduate programs. Milligan will award 36 degrees at the May 8 ceremony and 194 degrees at the May 9 ceremony. The May graduates include 48 Bachelor of Arts (B.A. ), 107 Bachelor of Science (B.S. ), 51 Bachelor of Science in Nursing, 14 Master of Business Administration (MBA) and 10 Master of Education (M.Ed.) students. Of the bachelor’s degree recipients, 12 are adult degree completion program (ADCP) students. Overflow seating will be available in the college’s Gregory Center for the Liberal Arts on May 9. Both ceremonies will be broadcast live at www.milligan.edu/streaming. Posted by Stephen Woodward on May 1, 2015.